RUSH: You want to know why? I’ll tell you why. It’s the media. You know, we need to stop beating around the bush about this and just cut straight to the chase. All this you can trace back to the media and the unhinged way the news in this country is presented each and every day. All they’re doing is feeding the unstable, the insane, the unhinged, and they are providing the fuel to make these people act in these destructive ways. There’s no doubt about it. RUSH: Right, so you have some guy that walks into Trump’s golf course down in Miami, Trump National at Doral. 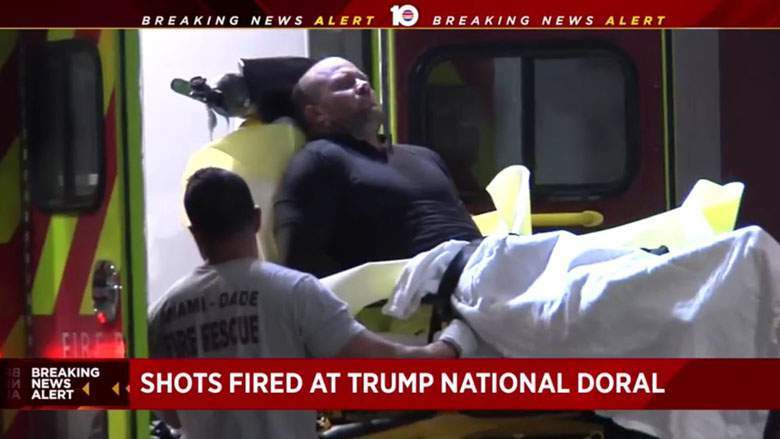 The guy starts shooting up after mouthing off about Trump. What’s this guy so upset about? He obviously watches the news all day. The media is playing to the unstable. They are playing to the infirm. They’re playing to the loosely coagulated in the brain. They’re prompting this stuff. They’re making people feel desperate. They’re making people feel hopeless, and all to advance their own political agenda. There’s now these insane people out there doing horrible things because of the hysteria they see in the media every day. 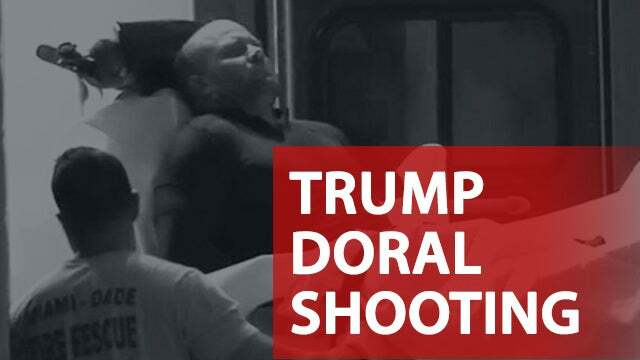 Congressman getting shot at baseball practice, for example, shooting up the lobby of a Trump resort. RUSH: Anyway, folks, I’m not kidding here. The media is constantly working people up into a frenzy. Now, there are some people, I think a lot of Trumpists have just tuned it out. And that’s why I don’t think Trumpists are responsible for any of this. I think the Trump supporters have basically tuned all this stuff out. They’re sick of it, it doesn’t affect them, they just pay no attention to it. It’s anecdotal, but we get calls from Trumpists here all the time who don’t watch the news anymore. Why would they? All it is is watching them get criticized, them get ripped to shreds, the people they hope do well ripped to shreds. They don’t watch it anymore, don’t pay attention to it. But the left does. Now we have a school shooting in Texas, and I want to remind you people of something. Back after the shooting at the Parkland, Florida high school — you know, and I could be snarky. That’s not my personality type, but I could be snarky. I could ask some questions today. Well, okay. I won’t ask ’em, but I’ll give you an example of what I would ask if I would ask them, okay? But I’m not really doing this. I’m just showing you what I would do if I were a snarky type of guy. Wait a minute. Why would another student grab a gun and go shoot up his school after seeing what happened, the misery caused, the suffering and all the attention paid after the Parkland school shooting? I mean, there were meetings at the White House. There were strategy sessions. There was a gigantic march against guns and all this stuff. We’re supposed to have fixed this. The Parkland students, remember, everybody praised them, these kids matter, these kids represent the future. Well, then why didn’t this happen? Now, I know the answer to that would be — and I’m not really asking. Folks, this is what I would ask if I were snarky. I’m just giving you an example. And of course it sets up another opportunity to charge into the whole “we need to get rid of guns” thing. It’s gonna be tough for the media ’cause the Russia thing, they don’t want to let go of. But they’re gonna have to have some of them let go of it and start focusing on the school shooting in Texas. But seriously, with so much attention paid after the last one and so much sincere work done, so many people contributed so much. There was so much caring by the Parkland students. There was so much blaming. There was such sensitivity awareness. Consciousness raising was all over the place. How can this have happened again? Hmm? So all these efforts to deal with the aftermath create the illustration that there are people involved in fixing this, and nobody is yet fixing this. Nobody is seriously tackling the cause of this. You know what we’ve learned as the aftermath from the Florida shooting has continued? We’ve learned that the perp down there, Nikolas Cruz, was exempted something like six times because of the PROMISE Program! The guy was on the street and at home and able to get and use his gun because of an Obama administration policy called PROMISE. And they wanted to blame the guns, and they wanted to blame Trump, they wanted to blame criticism, they wanted to blame the NRA. In fact, you could trace it right back to a policy of keeping guilty people out of jail because the Obama administration was convinced that the nation is racist because the prison population is so largely made up of African-Americans. And that proves that the country is racist. With African-Americans anywhere from 10 to 12, 13% of the population but yet 30, 35% of the prison population, that’s got to be racism. So the Obama administration, working with a superintendent in Chicago whose name was Robert Runcie, came up with a program called PROMISE. I forget what it stands for, but what it was was a program that was designed to let young felons go, to basically not charge them, to keep them out of prison, to somehow change the prison percentage — the racial percentage of prisoners in the population. I mean, it’s bogus from the get-go. The prison population is what it is because those are the people who’ve been convicted of committing crimes. But Obama and the left want you to believe that the majority of African-Americans in jail are innocent, have never committed a crime, were falsely convicted and so forth and so on. And there is some of that, but against everybody; it’s not primarily racial. The judicial system makes some mistakes. But on balance, people convicted by juries and judges are convicted for legitimate reasons. So Obama, the left tries to paint the nation as racist because the percentage of African-Americans in prison is way out of what can’t compared to their population percentage. So the PROMISE Program was created by this guy Runcie, adopted by Obama, and it essentially refuses to charge African-Americans or minorities with felonies if they’re young. It’s a way to make America make amends for all of the racism and bigotry of its past. It’s a way to extend a second chance to a young perp who may not have known what he or she was doing — and once you start exempt African-Americans, you pretty much have to exempt everybody else. So a bunch of young felons were, essentially, let go. This guy Nicholas — and, by the way, Robert Runcie, the creator of this program in Chicago is now the superintendent down in Parkland, Florida! 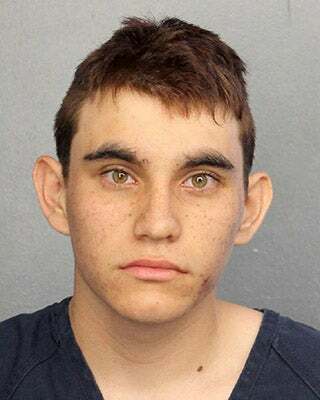 And we have learned that the perpetrator, Nikolas Cruz, was caught and apprehended five or six times, and the PROMISE Program is the reason why he was never apprehended, why he was still at home. There were all the people who had warned everybody the guy was a loose cannon. There were even a couple of specific warnings he was gonna shoot up a school. Nobody did anything about it, despite knowing enough to do something about it. But we ignore all that and we start blaming the NRA. THE PRESIDENT: Unfortunately, I have to begin by expressing our sadness and heartbreak over the deadly shooting at Santa Fe High School in Texas. Just took place moments ago. We’re closely monitoring the situation, and federal authorities are coordinating with local officials. This has been going on too long in our country, too many years, too many decades now. We grieve for the terrible loss of life and send our support and love to everyone affected by this absolutely horrific attack. RUSH: All right. Well, folks, there was at least one that I know of roundtable meeting in the White House with parents and students and survives of Parkland. I remember we carried some of it because it happened while this program was on the air, and I distinctly remember a number of proposals to put the equivalent of armed guards inside the schools. You remember the cacophony of objection that was heard? “You can’t do! You’re go in make the schools more dangerous. “You’re silly. That’s crazy. You can’t put guns in hands of…” And we find out at Parkland the people that were carrying guns didn’t even go in! They “secured the perimeter” while the shooting was taking place. We found out that the sheriff and law enforcement down there were just not prepared emotionally, professionally to deal with an incident like it. But at that Trump-sponsored seminar, whatever you want to call this at the White House, a lot of solutions were put forward. But here again it was a gun today that ended this spree at the school in Texas. The shooter, a student, somehow (the story is) entered art class and started firing until somebody else came in and put him down. But we had the meeting at the White House. We had all the people get together. We had parents. We had parents of kids that were killed at Parkland, the school, Marjorie Douglas Stoneman. 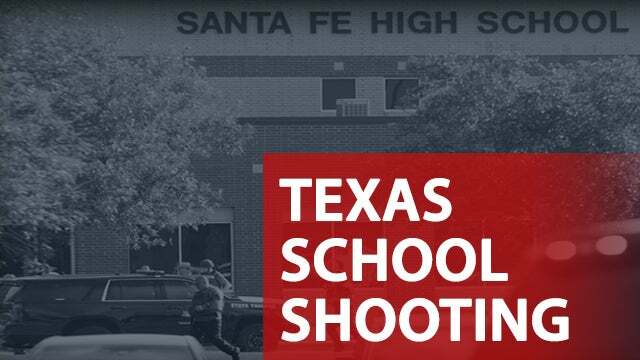 THE PRESIDENT: To the students, families, teachers and personnel at Santa Fe High, we’re with you in this tragic hour, and we will be with you forever. My administration is determined to do everything in our power to protect our students, secure our schools, and to keep weapons out of the hands of those who pose a threat to themselves and to others. RUSH: How are you going to do that? 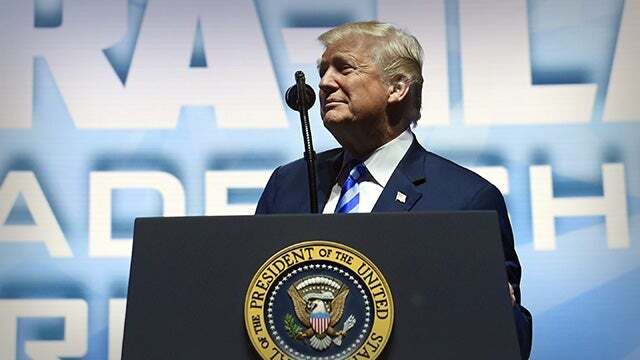 THE PRESIDENT: — at every level of government to keep our children safe. May God heal the injured and may God comfort the wounded, and may God be with the victims and with the victims’ families. Very sad day. Very, very sad. RUSH: How are you gonna get the weapons “out of the hands of those who pose a threat to themselves and to others”? Well, we used to be able to do it until the PROMISE Program came along; then the PROMISE Program prevents that from happening. Well, in a roundabout way it does. But right in the mix of this you cannot take out of this equation what has become a genuinely insane, out-of-control, fake news media. RUSH: By the way, folks, the New York Times buried a story yesterday. “A school shooting may have been narrowly averted on Wednesday — thanks in part to the quick response of a school resource officer, who shot a gunman before anyone else was harmed. The authorities in Dixon, Illinois, said the officer, Mark Dallas, was on duty at Dixon High School near a gymnasium, where students were gathered for a graduation rehearsal, when he heard gunshots at 8:06 a.m. He confronted the gunman, chased him out of the school and pursued him down a nearby street, the police said. “The gunman, a student at the school identified as Matthew A. Milby, 19, of Dixon, shot at the officer but missed, the police said. Mr. Dallas returned fire and struck [the student], who was taken to a hospital for non-life-threatening injuries.” So an armed resource officer — an ex-cop, by the way — prevented the school shooting in Dixon, Illinois, yesterday. The story was buried in the New York Times. It might have been some other places. But this was one of the ideas that came out of that meeting at the White House with the president and survivors from the Marjorie Douglas Stoneman school in Florida. RUSH: By the way, the gunman has been arrested and identified in Texas. Another person of interest has been detained. One of them is under the age of 18. This appears to be a thought-out, strategically planned event. Explosive devices were found, both on and off campus. At least eight people killed. Six victims taken to hospitals. A school resource officer — there was one there — is in critical condition. The FBI and the ATF are on scene. RUSH: Ray in Livermore, California, it’s great to have you. Glad you waited. How are you doing, sir? CALLER: Mega, I told you so, dittos. Or is that See, I Told You So dittos? CALLER: Rush, you opened up your main segment with the PROMISE Program and you were talking about the police stations. And in fact you did a very good write-up in your Limbaugh Letter about the PROMISE Program and I recommend that to the listeners also. But there’s more going on there that I don’t think people know about. The PROMISE Program is basically the equivalent of a sanctuary city for criminals in our schools, is what it is. They’re covering up crimes and they’re allowing them to continue on. In fact, in satellite police stations, the police are participating in crimes also by covering it up. They’re not reporting actual crimes. Trayvon Martin was part of the original PROMISE Program years and years ago before it was launched on a full-scale across Florida. RUSH: Okay. Now, wait a minute. You say the police are participating, but they’ve got no choice, if the program’s been implemented. RUSH: That’s the whole point. RUSH: Of course! That’s what the PROMISE Program requires they do. CALLER: Right. So they’re actually becoming participants in crimes. And the criminal gangs have cracked the code on this, Rush. They’re using minors to commit crimes in schools — drug dealing and minor crimes, lower-level crimes — because they know that these students will not be busted, and they’ve figured it out… They can count it down and figure out how many of these crimes they can pull off. So they’re using students, criminal gangs are, through the PROMISE Program to commit crimes that they know there will be no ramifications. And also there’s a Mueller investigation type cover-up here also, Rush. They’re attacking the NRA. The NRA is an association just like the AAA drivers association or anybody else, pilots associations. They didn’t attack the pilots association after the planes crashed into the buildings. But here’s why they’re going after the NRA. Rush, if you and I wanted to go down and get a concealed carry, we’d go to our local gun club. We’d sign up for a class and guess who puts on the classes? Ta-da! That’s right, the NRA. The NRA does training and certification for CCW. So if we wanted to carry, the NRA would be responsible for helping us get to that point. So you demonize the NRA, you take them out, there’s no method for civilians, citizens to become certified and trained to carry weapons, and further… This is how deep the attack is on our Second Amendment rights, Rush. RUSH: Now, that’s theoretically true. But in the real world, NRA memberships are blowing up. They’re expanding like crazy. Barack Obama is the greatest salesman of guns this country has ever had. And now the Democrat Party, in opposition to Donald Trump, is a close second. These people are driving the sale of guns to a record amount as they are driving record memberships to the NRA, and it’s that grassroots membership in the NRA that gives it its power. Its power is not because they donate money to politicians. Their power… It’s just like Trump’s power comes right from his voters; the NRA’s power is because they have so many literal, average, ordinary American citizens as members who donate and support the program. And it’s untouchable. Government can’t touch it. Democrat Party can’t touch it because they don’t make it. The media can’t destroy it because they didn’t make it possible. Now, your previous point, though, about gangs using young people to commit all kinds of crime in schools to take advantage of PROMISE? That’s right on the button. That’s exactly right. If you’ve wondered why there appears to be… If it just occurred to you one day that crime in schools and in neighborhoods around schools, the-drug-related crime, the perps seem younger and younger, it’s exactly as he said. It’s so that these kids can exempt being punished for it. If there is a PROMISE Program implemented in any of these communities, then the drug gangs will get these young people in there because they’re exempt. The PROMISE Program specifies they will not be arrested for felonies. The whole idea here is to change the prison population percentage of minorities, African-American and so forth. It’s a typical left-wing idea that is making everything more dangerous, putting more people at risk, and keeping criminally intended and committing people on the street. The Democrat Party. I mean, they’re siding with MS-13. They’re out defending MS-13. They’re defending Kim Jong-un and his nukes. (chuckles) They’re defending Hamas. They’re defending terrorist organizations. All so they can attack Donald Trump? Donald Trump is running one of the most clever stealth operations to destroy the reputation of the Democrat Party I have ever seen. He has capitalizing knowingly on their extraordinary, inexplicable, unbridled hatred for him by making them come to the defense of anything he attacks. So if he attacks MS-13 as a bunch of animals, here comes Pelosi (laughing) who actually says, “We find that they have humanity. There’s humanity in every person!” Except the baby in the womb that’s just walked into Planned Parenthood. I mean, they’re being forced into taking hypocritical and really problematic positions, all because of their insane hatred for Donald Trump. Anyway, I wouldn’t worry, though, about these people taking out the NRA. They’re doing too good a job selling memberships and guns.